Less is More: Why 2D Warehouse Barcode Labels Are Increasing in Popularity | ID Label Inc.
“More” is a word that aptly describes the expectations placed on today’s warehouses and distribution centers. More inventory. More throughput. More rapid order fulfillment. More pressure on warehouse operators to meet increasing demands. Luckily, “more” is also a word that describes the capabilities of today’s barcoding solutions. 2D barcode images have several advantages over traditional linear barcodes. – Malcolm Aitken, ID Label Inc. Warehouse management software can cover a great deal of information about each product, case or pallet. And that means today’s barcodes must be able to contain copious amounts of data. “With many of our warehousing clients, we’re seeing an increase in use of two-dimensional barcodes, which can support greater data requirements in a smaller barcode image,” Aitken said. Traditional linear – or 1D – barcodes contain a limited amount of information, roughly the equivalent of up to 20 characters. Two-dimensional – or 2D – barcodes, on the other hand, can store thousands of characters of information. That’s because 2D barcodes encode data vertically and horizontally. Not only do they contain more data, they’re typically smaller than 1D barcodes. This can be beneficial if a rack bay or bin area contains a dense number of positions. A 2D barcode can contain information like: product name, serial number, lot number, date of arrival, date to be shipped and more. A single scan captures all the pertinent information, which is then easily accessible in the facility’s inventory management software. 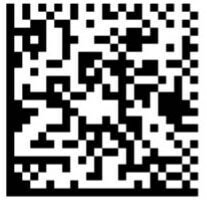 2D barcode labels can store thousands of characters of information and are easier to scan. 2D barcodes require imaging scanners to read them. An imager doesn’t use reflected light like a traditional laser scanner. 2D imagers have the added benefit of being able to read linear barcodes, too. 2D barcodes are particularly beneficial on vertical (totem) location labels where space on the upright rack is limited. The larger information capabilities allow for a compact barcode that contains both a location ID and a multifunctional data string. Not Sure What’s Right for Your Organization?